Late 50’s professional woman felt she looked tired and wanted a brighter more rested look. Dr Koo recommended upper and lower eyelid rejuvenation with a brow lift. This brightened and refreshed the area of her face that created the worn tired look. Dr Koo did not feel that she needed any other procedures and is meticulous about creating a natural refreshed look with the fewest procedures possible. She is respectful of her patients’ resources and time. 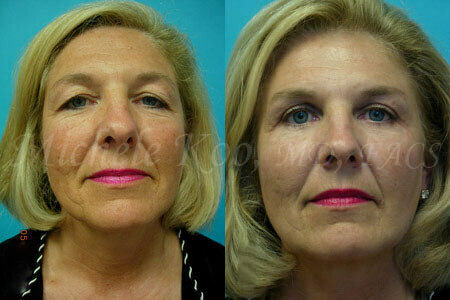 The patient was able to achieve all that she requested with one simple surgery and minimal recovery.